Feast your eyes as you tour through these divinely-inspired, spiritually-symbolic art galleries. Then select your favorites, and/or commission custom pieces, for the betterment of your life and environment. This 3D series features energies to upgrade all of us and the planet. 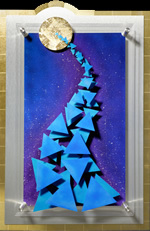 Each 3D work symbolizes in three levels the theme of Divine Creation. 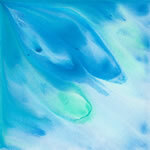 These paintings offer spiritual themes in various media and vibrations. 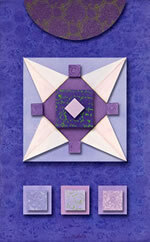 The inspiration and guidance for these divinely-given designs ensures they radiate optimal life-enhancing energies. Most are sized in the proportions of the golden rectangle which in and of itself generates positive energies. My love and passion imbued in creating these inspired artworks emanate to you.